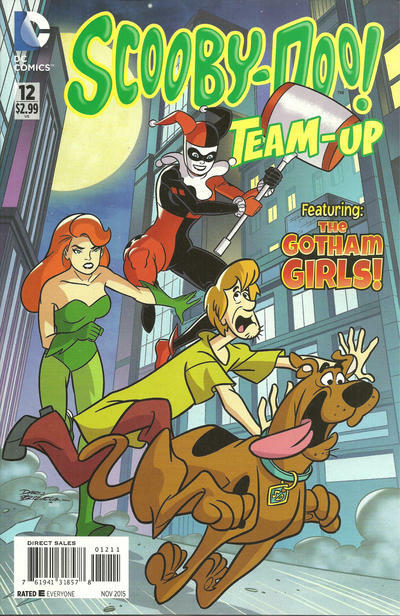 Mystery, Inc. is summoned to Gotham City by Poison Ivy and Harley Quinn to help them end an apparent curse that has been on them since they stole an opal. The “ghost” responsible turns out to be Catwoman. 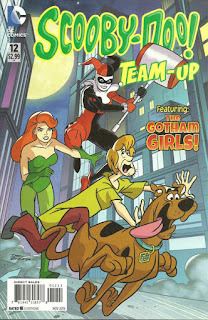 Ultimately, the gang works with Batgirl to apprehend all three larcenous ladies. I take it Harley Quinn appeared in the CU sometime in the sixties, instead of like the nineties in the Batman: The Animated Series? I take it that Harley's anachronic mention of texting is another distortion, since the events depicted are meant to take place during the 60's/70's.